David Harbour (right) dons the shoes of Big Red in the new take on Hellboy. 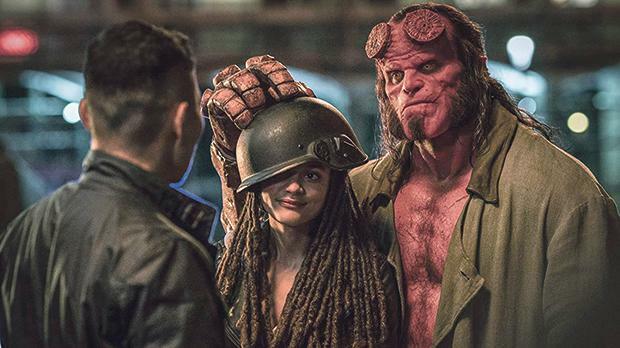 Director Neil Marshall, famous for gore-heavy titles like The Descent and a few memorable episodes of Game of Thrones, gives us a fresh take on Mike Mignola’s characters in Hellboy. With David Harbour (Stranger Things) in the title role as Big Red, the film dives back into the demonic mythos divorced from Guillermo del Toro and Ron Perlman’s 2004 and 2008 films respectively. This time, the big bad Blood Queen Nimue (Milla Jovovich) is hell-bent on opening underworld and jump-starting the apocalypse, so it is up to Hellboy and his pals at the Bureau for Paranormal Research and Defence (BPRD) to put a stop to it. Hellboy has not left a good impression among critics, with comically hyperbolic reviews harping on the film’s many evident flaws making a splash across various platforms on the internet. Common critiques lament a waste of the well-cast David Harbour’s talents, many nonsensical plot threads failing to come together coherently, as well as some heavy-handed editing choices that did not do justice to the film’s overall tone and aesthetic. The $50 million production indeed did not do well at the US box office, grossing only $12 million on its release last weekend. 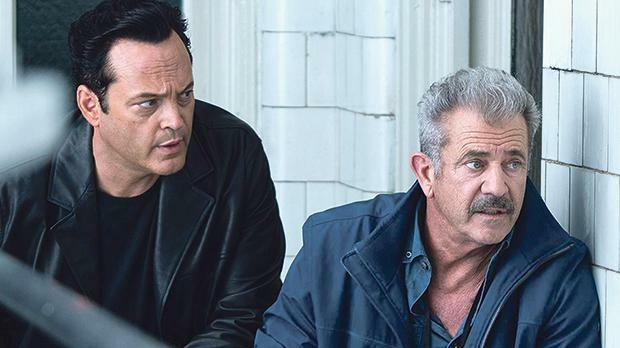 Vince Vaughn (left) and Mel Gibson make some bad decisions in Dragged Across Concrete. After footage of them emerges brutalising suspects in their custody, police partners Brett Ridgeman (Mel Gibson) and Anthony Lurasetti (Vince Vaughn) are suspended without pay for their violent behaviour. With little options left, they turn to their contacts in the criminal underworld to make some money while they ride out their suspension. Critics had mixed to warm reviews for the crime drama that opted for a slow burn rather than a faster pace in narrative. 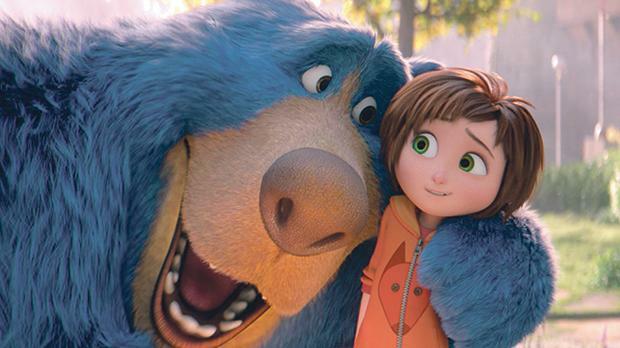 A girl’s imagination runs riot in Wonder Park. The animated adventure produced by Paramount Animation and Nickelodeon Movies revolves around a girl named June. The optimistic and imaginative child discovers an incredible amusement park called Wonderland hidden in the woods. The park is full of fantastical rides and talking, funny animals. However, the park is in disarray. June soon discovers the park is the fruit of her imagination and she is the only one who can fix it, so she bands together with the animals to save this magical place and bring the wonder back in Wonderland. Some critics praised the voice cast performances and the well-developed characters but others were less amused.